Thanks to LOTA, Louisiana OTs are represented in the world of lawmaking..
As a LOTA member, your dues, along with others', allow for LOTA to hire a lobbyist. A lobbyist is essential to all professional fields to provide keen eyes and ears in the political world of Louisiana Legislature. Our lobbyist, Kevin Hayes, is valued for his experience and strong presence when action is needed. See below for more information about Kevin's credentials. LOTA and Kevin remain active year-round in regards to legislative issues that are impacting (or that may have the potential to impact) OT jobs and OT practice. However, when our legislators are in Session each spring, LOTA and Kevin get even busier! We begin each session with a review of all the pre-filed bills (in which Kevin provides for us). Bills that are found to be of high importance to OTs practicing in Louisiana (or found to have the potential to be of high importance) are then thoroughly reviewed to determine a stance (neutral, oppose, support, or monitor further) and if any action should be taken. These bills, and any amendments that are added, are continually monitored and acted upon as necessary throughout the session. Through this process, LOTA fights for your job by protecting our practice act and ensuring OT isn't left behind when new laws are being created. Without enough members providing dues for LOTA to hire Kevin, you (as Louisiana OT) would have no lobbyist to keep you up-to-date with the legislative happenings and would have no lobbyist to represent and fight for your professional field in this political arena. LOTA's Legislative Committee remains in close collaboration with Kevin throughout each session in order to keep OT as an active force. We're appreciative for our members who volunteer their time and expertise to this committee as it is a very time-consuming process. We're grateful to Kevin who keeps us up-to-date with anything new that arises and is quick to take action when needed. During Session, Kevin also provides us with weekly updates on all things happening in the Capitol along with an updated Bill Status Report every Friday tracking the progress of bills. As a LOTA member, you have easy access to all of this information through our Current Legislative & Advocacy Issues page! 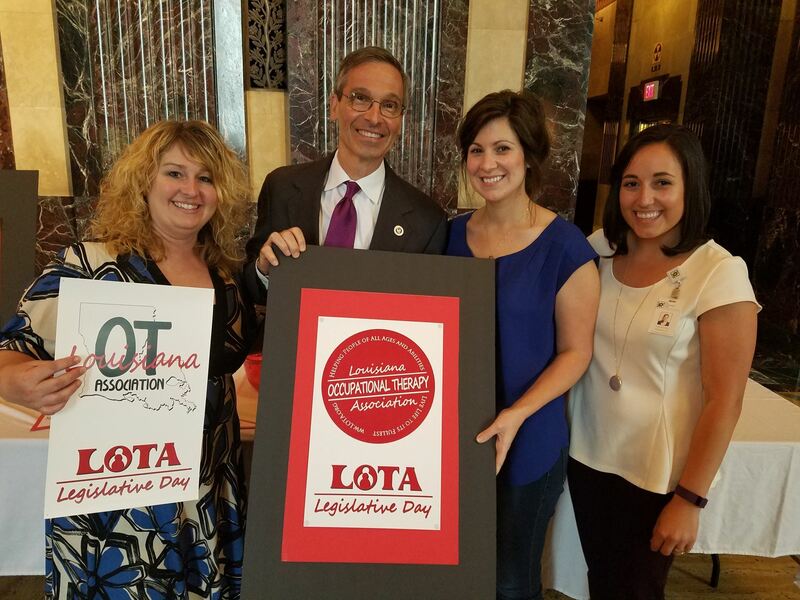 Because of LOTA, Louisiana OTs are represented in the world of lawmaking. Because of YOU and your membership, LOTA is financially able to hire a lobbyist for this representation. If you have any questions, please feel free to contact our Legislative Chair, Elise, at elisekelone@yahoo.com. LOTA holds an annual Legislative Day at the Capitol each Spring. Kevin secures our spot in the Rotunda when our legislators are in session (he is unable to do this prior to January of each year). 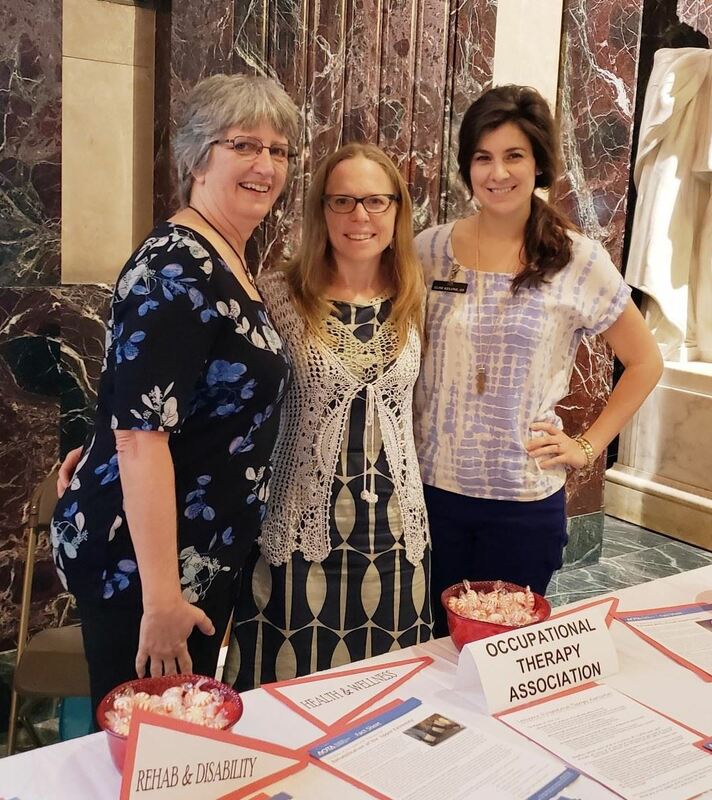 LOTA members join in the Rotunda and meet with our legislatures to discuss current bills/issues involving OT as well as to remind our legislators why occupational therapy is vital to the lives of so many of their voters. This event is open to all members, and an "event page" is created each year when the date is set. Stay tuned for Legislative Day 2019! The date will be set in Jan 2019, and it's expected to be held in April or May. Legislative Day 2018 was held on Tuesday, May 1st and was a success! Thanks to Kevin, our lobbyist, we were able to speak to several our our senators and representatives about proposed bills and the importance of OT to their voters in our Louisiana community. It was refreshing when several of our legislators were very familiar with what OT entails (having personal stories of their own to share) and very appreciative of our profession. We want to thank each of our OTs who came out (even those who came for only a short time) and supported our profession - it was valuable to have you with us! We're also very appreciative to the legislators who took time out of their day to meet with us and share their stories. Left to Right: Brenda Martin, OT Elise Kelone Pearce, LOTA Legislative Council Chair; and Brenda Fagan, OT. Left to Right: Kevin Hayes, LOTA's lobbyist; Representative Bob Hensgens; Danielle Keyser, LOTA President; Senator Fred Mills, Chairman of the Senate Health and Welfare Committee; Elise Kelone, LOTA Legislative Council Chair; Amy Caffery, OT; Craig J. Hidalgo, OT. Left to Right: Danielle Keyser, LOTA President; Senator Fred Mills, Chairman of the Senate Health and Welfare Committee; Elise Kelone, LOTA Legislative Council Chair; and Samantha Francoini, LOTA South Central District Co-Chair. "A seasoned lobbyist practicing in the areas of governmental relations, issues management, administrative rules and regulatory issues. 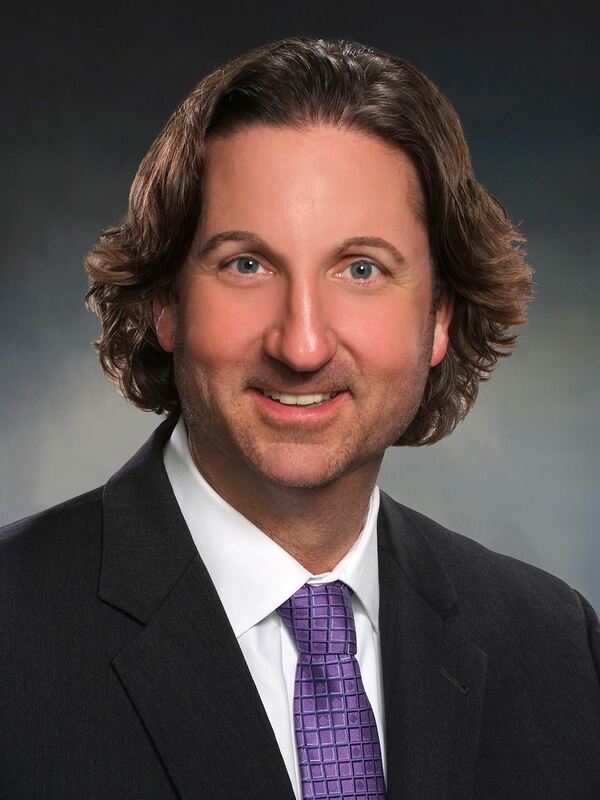 He has successfully represented professional and trade associations, corporations and coalitions before the Louisiana Legislature and state agencies. Prior to becoming a lobbyist, he spent four years as General Counsel for the Senate Committee on Commerce, Consumer Protection, and International Affairs. As attorney to the committee, he drafted legislation and amendments, advised legislators regarding the committee’s subject matter jurisdiction and assisted the chairman on procedural issues during committee hearings. Kevin has been extremely active in both the Louisiana State Bar Association and the Baton Rouge Bar Association. He is Past-President of the Baton Rouge Bar Association having served as President, President-Elect, Treasurer and Secretary after having been elected five times to its Board of Directors. He is the recipient of the 2002 Judge Joseph Keogh Memorial Award and also was elected Chair of the Young Lawyers Section. He serves the Louisiana State Bar Association as the elected member of the Board of Governors Fifth District, board liaison to the Public Information Committee, member of the Bar Governance Committee, and board member of the Louisiana Center for Law and Civic Education. The Louisiana State Bar Association honored Kevin with the Outstanding Young Lawyer of Louisiana Award in 2001 and in 2014 he was selected as a Fellow by the Louisiana State Bar Foundation. Kevin was named to the list of Forty under 40 by the Baton Rouge Business Report and is Past-President of the Association of Louisiana Lobbyists. *The photo and information on Kevin is credited to Hayes Strategic Solutions. Governing of the licensing and practice of OT in Louisiana. The laws governing the licensing and practice of Louisiana occupational therapists and therapist assistants are monitored and enforced by Louisiana State Board of Medical Examiners (LSBME). Click here to download the most current versions of Louisiana's laws (Practice Act), rules, and application materials pertaining to occupational therapy. Find your state legislators, current legislation, and more through Louisiana State Legislature.